It does not have any last name field, it just has a textbox for the whole name. Did you change it? or kindly provide the URL of the correct form so that we can check and help you. Regarding to the white background, please post your related questions in this thread: http://www.jotform.com/answers/371799 We will give follow up to that issue there. The first URL returned as Invalid. Is that the form? Please let us know. As per my original post I asked about being able to design multiple fields on a single line by setting the overall width of the form and the field widths. No one has answered me and I have to make a decision whether to contnue with FormSite or your company. I will need a number of registration forms, survey forms and contact forms, plus the ability to accept payments. Would our form field positioning guide help? Basically, widening a form will not position two adjacent fields on the same line unless both fields have been shrunk. Please elaborate if you need further help with this. Exactly to which form are you referring? I just want to be sure that we're all "on the same page", so to speak. 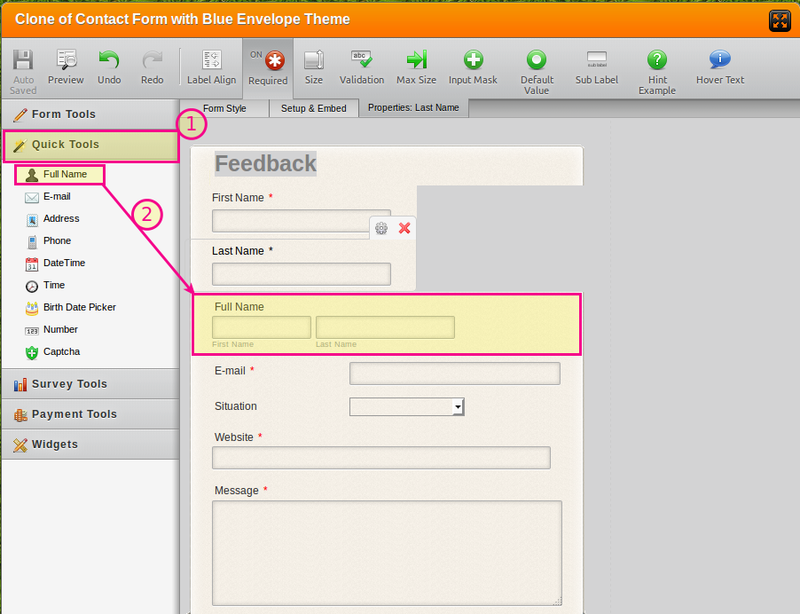 If I am not able to set either the form width or field widths it won't work for me. My current form on FormSite - http://fs11.formsite.com/ChecMark/form1/index.html?1399915563181 has six and seven fields on the same line. 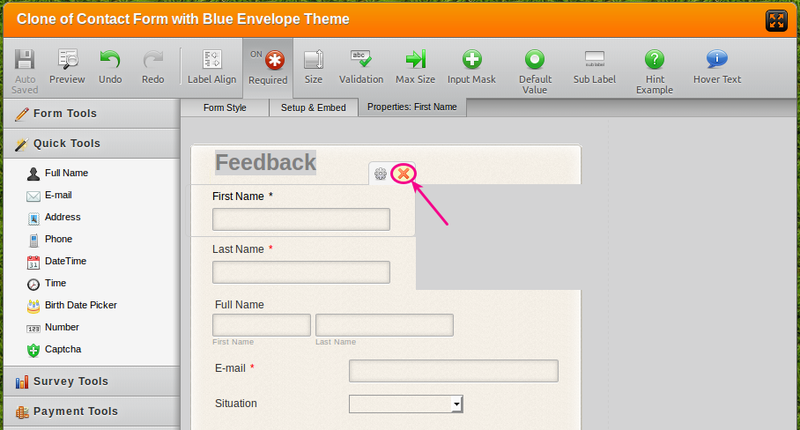 More advanced styling changes available with injected CSS, so if you have any questions about this, please let us know. The last name is always displayed onto a second line. Since this is a quite old thread, I have moved your post to a new thread here: http://www.jotform.com/answers/753557 where we will be assisting you shortly.